With the recent and unfortunate news that Activision have closed down Bizarre Creations, now is a good a time as any to look over a couple of their games, starting with the recent Blur. Closure seems like a strange decision from the point of view of Activision’s portfolio – the largest games publisher in the world is left with no developers that have any significant experience of making driving games. EA, their biggest competitor, have an abundance in that particular area while the only remaining quality racing game developers are at Sony, Microsoft, Codemasters and relative newcomers Disney Interactive. Bizarre seem to be suffering the fallout from recent releases that were at best mediocre – The Club and their latest game James Bond 007: Blood Stone both suffered critically and in terms of sales. These two games were also both 3rd person action/shooting titles that were far removed from Bizarre’s usual driving or downloadable arcade games. When the studio stuck to what they knew best, as with the recent underrated Blur, they could still produce excellent games. 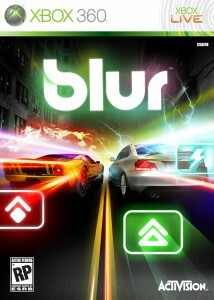 Blur was sadly overlooked when it came to sales though. New IPs, without a huge marketing spend, tend to struggle these days. The racing genre is much like the sports one – newcomer titles have a doubly difficult time. Creating a straight sim-racer to go up against the big three of Gran Turismo, Forza and Need For Speed would be the same as trying to make a non-licensed football game to compete with FIFA and Pro Evo. One solution to this problem is the route Codemasters have taken – create specialised realistic games that focus on one particular real-world racing code such as the recent F1 2010 or the off-road-centric Dirt series. By releasing games regularly and basing them on their Ego engine, they spread the risk across titles. On the other hand, there’s the expense of the license(s) and the work involved in having to realistically model the cars and real-life tracks. This my little blog about games design and the industry itself. Wanna know more? You can start here.